I’m currently sitting in a train station in Irkutsk, about as tired as I’ve been so far this trip. 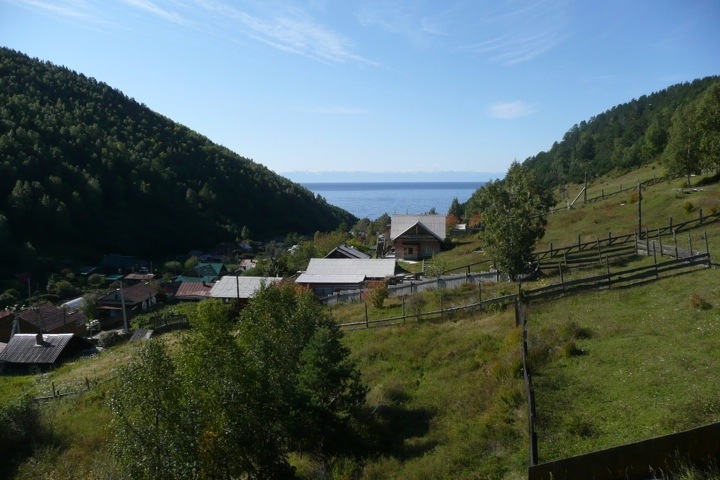 Which is a neat trick, seeing as I’ve spent the last two days by the shores of Lake Baikal, in a room in a log cabin with the balcony view above, enjoying sunshine on a par with the best Irish summer day, doing nothing more strenuous than going for a dip. Yes, it was bloody cold, but still. Anyhow, night is falling, and I must be off. Will do my best to keep the updates coming, wherever I and the Internet happen to intersect. Great photo, and all you’ve missed back here is a conference call with Ebsco about freelance work that may or may never materialize!! It’s a once-in-a-lifetime kind of deal, so fair enough. More than a month before I’m back home, and I plan to make the most of it.